There are a lot of useful ESLint plugins out there. 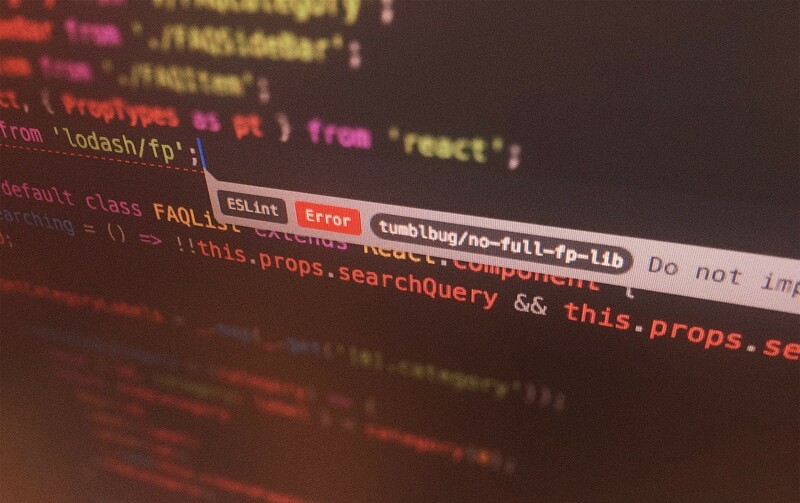 At Tumblbug, we are fans of eslint-config-airbnb and eslint-plugin-react. However, as a project grows, you might start feeling the need for adding custom rules to ensure that your developers are following best practices. In this blog post, I’ll be going over creating a custom ESLint plugin and writing a simple rule for it. as this brings too much code into the current module and makes it difficult to perform tree-shaking. Let’s begin by generating our rule! The generator-eslint plugin has a generator for this as well. This AST provides us with all the information needed to create our rule. First off, we can see that the nodes we are interested in are of the type VariableDeclaration, which contains a list of VariableDeclarator. We can implement our rule by looking at each VariableDeclarator and specifically check for an id with name = _ and an init where the callee is require. I recommend consulting the ESLint documentation for a more in-depth explanation on writing rules. We already have some code generated by generator-eslint, so all we have to do is fill in the error message, type, and add a couple of valid examples! We see that all our tests pass! Writing and testing rules for ES6 is a bit more difficult, as additional configuration is needed to get everything running. We can still use AST explorer to generate an AST, but make sure that the appropriate ecmaVersion is selected under parser options. To test this, we need to provide ESLint with some additional configuration for it to know how to run our rule. First off, as we’re now using ES6, we have to set the ecmaVersion to 6, and as our rule uses import, we also have to set a flag to enable this. A more extensive list of the different features that can be used is available on ESLints documentation. Running npm run test, we see that our rule is doing its job correctly! Now that our rule is written and tested, all that remains is wrapping up our package. This recommended config can then be used by configuring our other projects to extend it. All that’s left now is to optionally publish our package to npm, and to install and use it in our other projects! Take a look at the project repository on Github. Update: much thanks to Ilya Volodin for sharing a lot of useful resources! This post is now much simpler than it originally was!